Although the fiber loss limits the transmission distance, the need for longer fiber optical transmission link seems never ending. In the pursuit of progress, several kinds of optical amplifiers are published to enhance the signals. Hence, longer fiber optical transmission link with big capacity and fast transmission rate can be achieved. As the EDFA and Raman amplifiers are the two main options for optical signal amplification. which one should be used when designing long fiber optical network? What are the differences of the two optical amplifiers? Which one would perform better to achieve the long fiber optical link? And which one is more cost effective? Let’s talk about this topics. EDFA (Erbium-doped Fiber Amplifier), firstly invented in 1987 for commercial use, is the most deployed optical amplifier in the DWDM system that uses the Erbium-doped fiber as optical amplification medium to directly enhance the signals. It enables instantaneous amplification for signals with multiple wavelengths, basically within two bands. One is the Conventional, or C-band, approximately from 1525 nm to 1565 nm, and the other is the Long, or L-band, approximately from 1570 nm to 1610 nm. Meanwhile, it has two commonly used pumping bands, 980 nm and 1480 nm. The 980nm band has a higher absorption cross-section usually used in low-noise application, while 1480nm band has a lower but broader absorption cross-section that is generally used for higher power amplifiers. The following figure detailedly illustrates how the EDFA amplifier enhance the signals. When the EDFA amplifier works, it offers a pump laser with 980 nm or 1480 nm. Once the pump laser and the input signals pass through the coupler, they will be multiplexed over the Erbium-doped fiber. Through the interaction with the doping ions, the signal amplification can be finally achieved. This all-optical amplifier not only greatly lowers the cost but highly improves the efficiency for optical signal amplification. In short, the EDFA amplifier is a milestone in the history of fiber optics that can directly amplify signals with multiple wavelengths over one fiber, instead of optical-electrical-optical signal amplification. As the limitations of EDFA amplifier working band and bandwidth became more and more obvious, Raman amplifier was put forward as an advanced optical amplifier that enhances the signals by stimulated Raman scattering. To meet the future-proof network needs, it can provide gain at any wavelength. At present, two kinds of Raman amplifiers are available on the market. One is lumped Raman amplifier that always uses the DCF (dispersion compensation fiber) or high nonlinear fiber as gain medium. Its gain fiber is relatively short, generally within 10 km. The other one is distributed Raman amplifier. Its gain medium is common fiber, which is much longer, generally dozens of kilometers. When the Raman amplifier is working, the pump laser may be coupled into the transmission fiber in the same direction as the signal (co-directional pumping), in the opposite direction (contra-directional pumping) or in both directions. Then the signals and pump laser will be nonlinearly interacted within the optical fiber for signal amplification. In general, the contra-directional pumping is more common as the transfer of noise from the pump to the signal is reduced, as shown in the following figure. EDFA vs Raman Optical Amplifier: Which One Wins? After knowing the basic information of EDFA and Raman optical amplifiers, you must consider that the Raman amplifier performs better for two main reasons. Firstly, it has a wide band, while the band of EDFA is only from 1525 nm to 1565 nm and 1570 nm to 1610 nm. Secondly, it enables distributed amplification within the transmission fiber. As the transmission fiber is used as gain medium in the Raman amplifier, it can increase the length of spans between the amplifiers and regeneration sites. Except for the two advantages mentioned above, Raman amplifier can be also used to extend EDFA. However, if the Raman amplifier is a better option, why there are still so many users choosing the EDFA amplifiers? Compared with Raman amplifier, EDFA amplifier also features many advantages, such as, low cost, high pump power utilization, high energy conversion efficiency, good gain stability and high gain with little cross-talk. Here offers a table that shows the differences between EDFA and Raman optical amplifiers for your reference. Considering that both EDFA and Raman optical amplifiers have their own advantages, which one should be used for enhancing signals, EDFA amplifier, Raman amplifier or both? It strictly depends on the requirement of your fiber optical link. You should just take the characteristics of your fiber optical link like length, fiber type, attenuation, and channel count into account for network design. When the EDFA amplifier meets the need, you don’t need the Raman amplifier as the Raman amplifier will cost you more. Related Article: Why Not Use Raman Amplifier to Extend the CWDM Network Reach? This entry was posted in Fiber Optical Amplifier and tagged EDFA, EDFA amplifier, EDFA vs Raman, optical amplifier, pump laser, Raman amplifier on May 18, 2017 by Katherine.Wang. How to Enhance the Optical Signals for a Long DWDM System? As we know, the longer the optical transmission distance is, the weaker the optical signals will be. For a long DWDM system, this phenomenon easily causes transmission error or even failure. Under this case, what can we do for a smooth, long DWDM system? The answer is optical signal enhancement. Only by enhancing the optical signals, can the DWDM transmission distance be extended. In this post, we are going to learn two effective solutions, optical amplifier (OA) and dispersion compensation module (DCM) to enhance the signals, for making a smooth, long DWDM system. We used to utilize repeater to enhance the signals in fiber optics, which should firstly convert the optical signals into an electrical one, amplify the electrical signals, and then convert the electrical signals into an optical one again. Finally, you can get the enhanced optical signals. However, this method of enhancing signals can not only cause more signal loss, but also add unwanted noises in the actual signal. Taking these issues into account, the optical amplifier is more recommendable. An optical amplifier is a device that enables direct optical signal enhancement or amplification. Its working principle is not so complicated as that of the repeater, while its performance is much higher. From the following figure, we can learn that the original reach of the DWDM system is limited to 80 km due to the signal loss. But with the optical amplifier, the signals are enhanced and the reach can be extended to 160 km. It is really an ideal option to enhance the signals for a long DWDM system. At present, there are mainly three major kinds of optical amplifiers, Semiconductor Optical Amplifier (SOA), Doper Fiber Amplifier (DFA), and Raman Amplifier (RA). Semiconductor Optical Amplifier: as its name implies, the semiconductor in a SOA is used to offer the gain medium. This kind of optical amplifier has a similar structure to the FP laser diode. However, it is designed with anti-reflection elements at the end face that can greatly reduce the end face reflection. Meanwhile, the SOA features small package and low cost that suits for most users to enhance the optical signals. Doper Fiber Amplifier: in a DFA, the doped optical fiber acts as the gain medium for signal amplification. When the DFA works, the signal to be amplified and a pump laser are multiplexed into the doped fiber. And then the signal is amplified through interaction with the doping ions. The most common DFA is the Erbium Doped Fiber Amplifier (EDFA). Its gain medium is a optical fiber doped with trivalent erbium ions that always enhances the signals near 1550nm wavelength. Undoubtedly, the EDFA is a great choice to enhance the optical signals. Raman Amplifier: different from the SOA and DFA, the signal in a RA is amplified through the nonlinear interaction between the signal and a pump laser within an optical fiber. In details, two kinds, distributed and lumped Raman amplifier (DRA and LRA) are available on the market. The distributed one multiplexes the pump wavelength with signal wavelength through the transmission fiber to enhance the signals, while the amplification of the lumped one is provided by a dedicated, shorter length of fiber. Apart from signal amplification, we can also use dispersion compensation to enhance the optical signals. Once the dispersion occurs, the signal will be tended to skew due to the different frequencies, which has a negative effect on the quality of signal transmission. At that moment, we use the dispersion compensation module to enhance the skew signal, for achieving a longer transmission distance. As shown in the figure below, the DWDM system is extended to longer than 80 km with the use of 80km passive dispersion compensation module. The dispersion compensation module is an important component for a long fiber optical link. It typically connects to the mid-stage of an OA like EDFA, in the long haul transmission system. Except for the 80km DCM mentioned above, FS.COM also provides other DCM modules that allow long transmission distance extension. The compensation distances can range from 10km to 140 km, as shown in the following table. The optical amplifier has the ability to directly boost the weak signal, while the dispersion compensation module can reshape the deformed signal and offer a long compensation distance. Considering that the signal strength would become weak as the transmission distance increases, using the optical amplifier and dispersion compensation module to enhance the signals is very necessary when building a long DWDM system. This entry was posted in Dispersion Compensation Module, DWDM system, Fiber Optical Amplifier and tagged dispersion compensation, long DWDM system, optical amplifier, optical signal enhancement on May 10, 2017 by Katherine.Wang. It can’t be denied that for most users, the capacity and transmission data rate their 10G networks offer sufficiently meet their needs at present. However, for some users, their 10G networks are capacity-hungry that requires more and more fiber optical cables installed for carrying large data. Considering that the available fiber infrastructure is limited, the method of putting more cables would be infeasible or unsuitable once the infrastructure no longer fulfill the growing requirements. Is there any economical solution to solve this issue, except upgrading the network that would cost a lot? The answer is yes. In order to create new capacity at a relatively low price, WDM technology is come up with that enables virtual fibers to carry more data. Since WDM technology has been a cost effective solution to face the capacity-hungry issue, here will offer the economical DWDM SFP+ transceiver and DWDM Mux Demux solutions for you to build the 10G DWDM network, which enables bigger capacity to meet your network needs. The DWDM SFP+ transceiver is an enhanced version of DWDM SFP transceiver that can transmit signals at 10Gbps–the max data rate, mostly deployed in the dark fiber project in combination with the DWDM Mux Demux. Like other kinds of SFP+ transceivers, it is also compliant to the SFP MSA (multi-source agreement), designed for building 10G Ethernet network. However, the working principle of DWDM SFP+ transceiver is much more complicated than that of common SFP+ transceiver due to the DWDM technology. Generally, the DWDM SFP+ transceiver has a specific tuned laser offering various wavelengths with pre-defined “colors” which are defined in the DWDM ITU grid. The colors of the wavelengths are named in channels and the wavelengths are around 1550nm. Its channels are commonly from 17 to 61 and the spacing between channels is always about 0.8nm. In fiber optical network, the 100GHz C-Band with 0.8nm DWDM SFP+ transceiver is the most commonly used one, while transceivers with other spectrum bands like 50GHz with 0.4nm spacing DWDM SFP+ transceiver are also popular with users. According to the transmission distance, the DWDM SFP+ transceiver can be divided into two types. One is the DWDM-SFP10G-40 with an optical power budget of 15dB, and the other is the DWDM-SFP10G-80 with an optical power budget of 23dB. As we know, the bigger the optical power budget is, the longer the transceiver will support the 10G network. Hence, the DWDM-SFP10G-40 can transmit 10G signals at lengths up to 40 km, but the DWDM-SFP10G-80 is able to support the same network with a longer distance, 80 km. What should be paid attention to is that the transmission distance can be also affected by the quality and type of the DWDM Mux Demux, the quality and length of the fiber, and other factors. The DWDM Mux Demux is a commonly used type of fiber optical multiplexer designed for creating virtual fibers to carry larger data, which consists of a multiplexer on one end for combining the optical signals with different wavelengths into an integrated signal and a de-multiplexer on the other end for separating the integrated signal into several ones. During its working process, it carries the integrated optical signals together on a single fiber, which means the capacity is expanded to some extent. In most applications, the electricity is not required in its working process because the DWDM Mux Demux are passive. 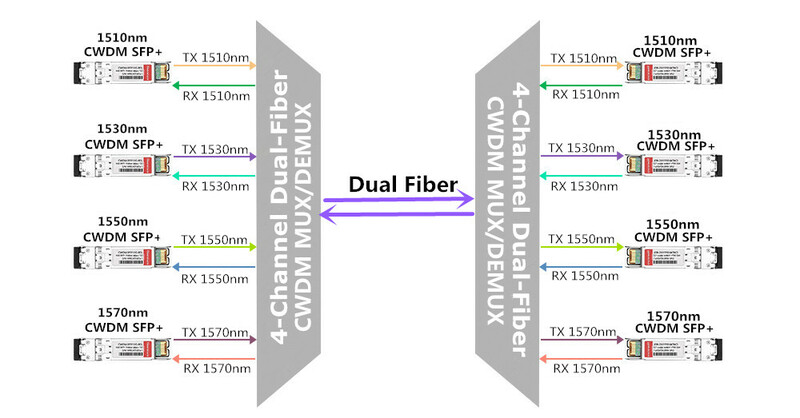 Unlike the CWDM Mux Demux with 20nm channel spacing, the DWDM Mux Demux has a denser channel spacing, usually 0.8nm, working from the 1530 to 1570nm band. It is designed for long transmission, which is more expensive than CWDM Mux Demux used for short transmission. Meanwhile, it also commonly used the 100 GHz C-band DWDM technique like the DWDM transceiver. As for its classification, there are basically two types according to line type, dual fiber and single fiber DWDM Mux Demux, and six types according to the number of the channels, 4, 8, 16, 40, 44 and 96 channels DWDM Mux Demux. 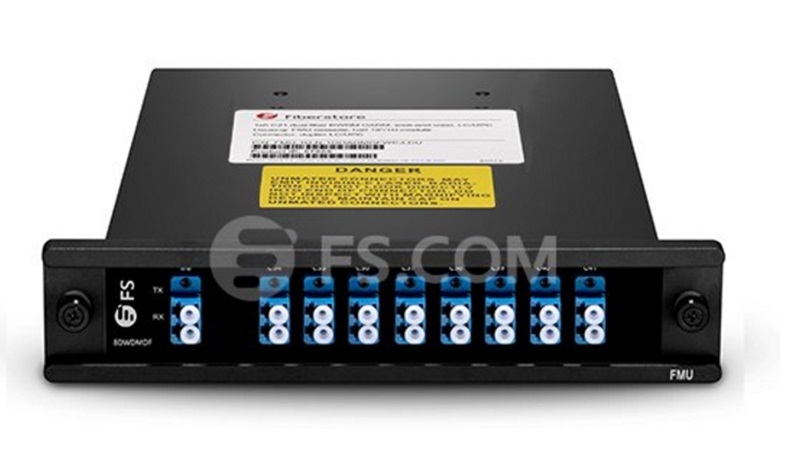 All these types of DWDM Mux Demux are available at FS.COM with ideal prices. 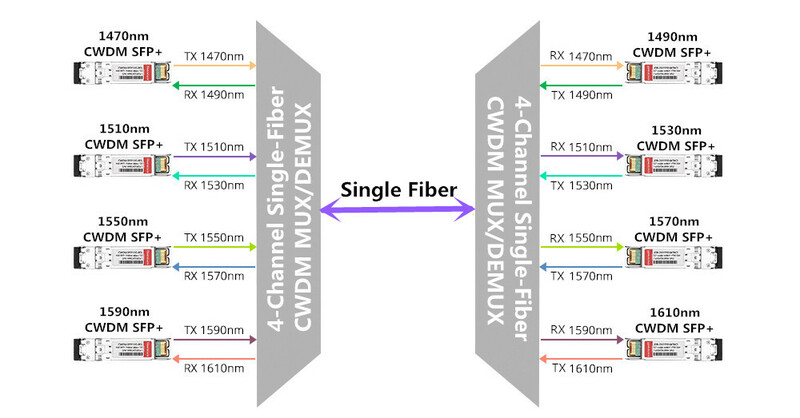 To better understand the DWDM Mux Demux, here offers a figure of a stable 8 channel DWDM Mux Demux for your reference. Taking the cost issue into consideration, deploying a 10G DWDM network is much more economical than upgrading your network from 10G to 40G/100G which almost requires changing out all the electronics in your network. The 10G DWDM network makes full use of DWDM technology to expand the network capacity, which creates virtual fibers to support more data signals. If your 10G network is also capacity-hungry, you are highly suggested to deploy 10G DWDM network to make new capacity. As for the related components the 10G DWDM network needs like transceiver and Mux Demux, you can easily find them at FS.COM. For instance, FS.COM offers the DWDM SFP+ transceivers compatible with almost every brand, including Cisco, Juniper, Brocade, Huawei, Arista, HP and Dell, which have been tested to assure 100% compatibility. This entry was posted in 10Gbps Networks, DWDM system and tagged DWDM MUX DEMUX, stable 8 channel DWDM Mux on April 6, 2017 by Katherine.Wang. Nowadays, the requirements for higher Internet access speed keep growing in different applications such as video conference, 3D and cable TV, which result in popularity of FTTH (fiber-to-the-home) deployments. Passive Optical Networks (PON), as the leading technology used in FTTH applications, are also widely used. PON transceivers are one of the important components in PON systems. This post intends to describe some basic knowledge of PON transceivers. PON transceiver is a type of optical transceivers which often uses different wavelengths to transmit and receive signals between an OLT (Optical Line Terminal) and ONTs (Optical Network Terminals, also called ONU). According to different standards, PON transceivers can be divided into different types. There are diplexer and the triplexer transceivers on the basis of wavelengths. For the diplexer transceivers, the 1310nm wavelength is for the upstream and 1490nm for the downstream wavelength. While for the triplexer transceiver, the 1550nm wavelength is used in the downstream direction. Of course, it is also possible that 1490nm wavelength is allocated in the downstream direction by using video over IP technologies. According to the plugged-in device, there are OLT and ONU transceivers. Generally, OLT transceiver is more complicated than ONU transceiver. Because one OLT transceiver may need to communicate with up to 64 ONU transceivers. It’s know to all that there are two usual network architectures in PON systems: GPON (Gigabit Passive Optical Network) and EPON (Ethernet Passive Optical Network). Both of them offer users high-speed services over an all-optical access network. As we have mentioned above, PON transceiver can be classified into OLT and ONU transceivers. Here mainly introduce two common OLT transceivers used in GPON or EPON network. The GPON OLT transceiver is designed for GPON transmission. In order to illustrate this transceiver clear, let’s take the GPON OLT SFP module for an example (shown as following picture). The transceiver uses 1490nm continuous-mode transmitter and 1310nm burst-mode receiver. The transmitter section uses a high efficiency 1490nm DFB laser and an integrated laser driver which is designed to be eye safety under any single fault. The receiver section uses an integrated APD detector and bursts mode pre-amplifier mounted together. To provide fast settling time with immunity to long streams of Consecutive Identical Digits (CID), the receiver requires a reset signal provided by the media access controller (MAC). The GPON OLT SFP transceiver is a high performance and cost-effective module for serial optical data communication applications to 2.5Gpbs. EPON OLT transceiver is designed for PON applications. It has SFP, XFP and SFP+ packages. 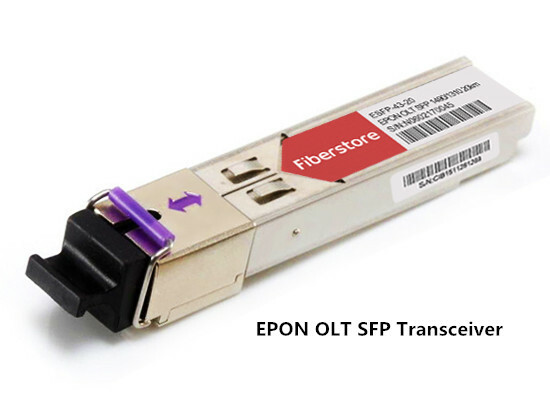 Here we also introduce this transceiver by taking EPON OLT SFP transceiver as an example. Generally, EPON OLT SFP transceivers support 1.25Gbps downstream and 1.25Gbps upstream in EPON applications. 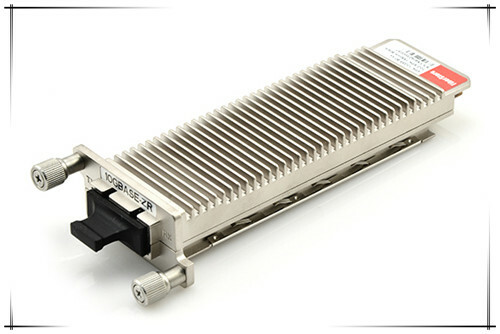 Like the GPON OLT SFP transceiver, they also have 1490nm continuous-mode transmitter and 1310nm burst-mode receiver. And their transmission reach is 20 km. The transmitter section uses a 1490nm DFB with automatic power control (APC) function and temperature compensation circuitry, which can ensure stable extinction ratio overall temperature range. And the receiver section has a hermetically pre-amplifier and a limiting amplifier with LVPECL compatible differential outputs. Burst-mode optical transmission technologies for the upstream link. High-output-optical-power and high-sensitivity OLT at the CO (central office) are needed for the losses introduced by the optical splitters and fibers connecting subscribers’ premises. The Optical Line Terminal (OLT) RX needs to be able to receive packets with large differences in optical power and phase alignment. Quick rise/fall time to minimize guard time during transmission. PON transceiver is a high performance module for single fiber communications by using continuous-mode transmitter and burst-mode receiver with different data rate and wavelengths. In this post, the basis and common types of PON transceivers are illustrated. Hope it could help you. For more information, please visit FS.COM. This entry was posted in FTTX network and tagged EPON OLT transceiver, GPON OLT transceiver, ONU transceiver, PON transceiver on December 22, 2016 by Chloe Wang. 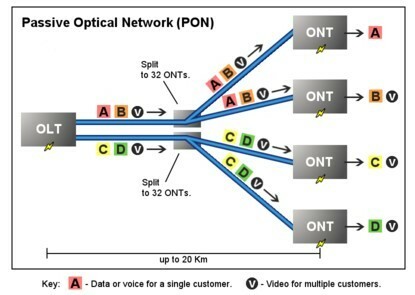 In optical communications, DWDM (Dense Wavelength Division Multiplexing) technology enables a number of different wavelengths to be transmitted on a single fiber, which makes it a popular choice among many different areas such as local area networks (LANs), long-haul backbone networks and residential access networks. In these transmission processes, DWDM transceivers play an important role. Here is a brief introduction to them. DWDM transceiver, as its name shows, is a kind of fiber optic transceiver based on DWDM technology. As mentioned above, it enables different wavelengths to multiplex several optical signals on a single fiber without requiring any power to operate. And these transceivers are designed for high-capacity and long-distance transmissions, supporting to 10 Gbps and spanning a distance up to 120 km. Meanwhile, the DWDM transceivers are designed to Multi-Source Agreement (MSA) standards in order to ensure broad network equipment compatibility. The basic function of DWDM transceiver is to convert the electrical signal to optical and then to electrical signal, which is as same as other optical transceivers. However, based on DWDM technology, DWDM transceiver has its own features and functions. It’s intended for single-mode fiber and operate at a nominal DWDM wavelength from 1528.38 to 1563.86 nm (Channel 17 to Channel 61) as specified by the ITU-T. And it is widely deployed in the DWDM networking equipment in metropolitan access and core networks. There are different types of DWDM transceiver according to different packages such as DWDM SFP transceiver, DWDM SFP+ transceiver, DWDM XFP transceiver, DWDM XENPAK transceiver and DWDM X2 transceiver. Here is a simple introduction to them. 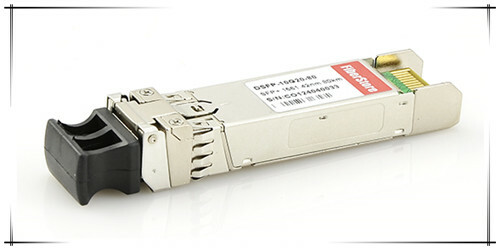 DWDM SFP transceiver is based on the SFP form factor which is an MSA standard build. This transceiver provides a signal rate range from 100 Mbps to 2.5 Gbps. Besides, DWDM SFP transceiver meets the requirements of the IEE802.3 Gigabit Ethernet standard and ANSI fibre channel specifications, and are suitable for interconnections in Gigabit Ethernet and fibre channel environments. DWDM SFP+ transceiver, based on the SFP form factor, is designed for carriers and large enterprises that require a flexible and cost-effective system for multiplexing and transporting high-speed data, storage, voice and video applications. The maximum speed of this transceiver is 11.25G. It’s known to all that DWDM enables service providers to accommodate hundreds of aggregated services of sub-rate protocol without installing additional dark fiber. 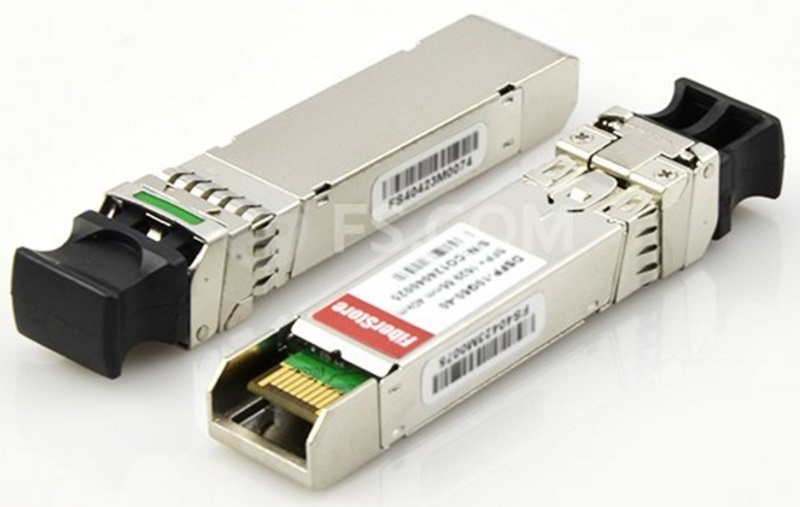 Therefore, DWDM SFP+ transceiver is a good choice for 10G highest bandwidth application. DWDM X2 Transceiver is a high performance serial optical transponder module for high-speed 10G data transmission applications. The module is fully compliant to IEEE 802.3ae standard for Ethernet, which makes it ideally suitable for 10G rack-to-rack applications. DWDM XFP transceiver is based on the XFP form factor which is also an MSA standard build. 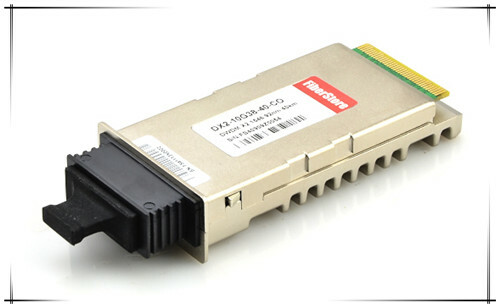 The maximum speed of this transceiver is 11.25G and it is usually used in 10G Ethernet. This transceiver emits a specific light. And there are different industry standards and the 100Ghz C-band is the most used one which has a spacing of 0.8 nm. What’s more, DWDM XFP supports SONET/SDH, 10GbE and 10 Gigabit fibre channel applications. DWDM XENPAK transceiver is SC duplex receptacle module and is designed for backbone Ethernet transmission systems. It is the first 10GbE transceiver ever to support DWDM. And it can support 32 different channels for transmission distance up to 200 km with the aid of EDFAs. DWDM XENPAK transceiver allows enterprise companies and service providers to provide scalable and easy-to-deploy 10 Gigabit Ethernet services in their networks. As the growing demand of bandwidth, DWDM technology is becoming more and more popular. And DWDM transceivers are commonly used in MANs (metropolitan area networks) and LANs. Different types of DWDM transceiver have different applications. 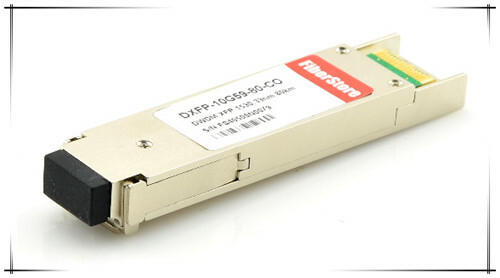 For example, DWDM SFP transceivers are applied in amplified DWDM networks, Fibre Channel, fast Ethernet, Gigabit Ethernet and other optical transmission systems, while DWDM XFP transceivers are usually used in the fields which meet the 10GBASE-ER/EW Ethernet, 1200-SM-LL-L 10G Fibre Channel, SONET OC-192 IR-2, SDH STM S-64.2b, SONET OC-192 IR-3, SDH STM S-64.3b and ITU-T G.709 standards. In summary, DWDM transceiver is an essential component in DWDM systems. 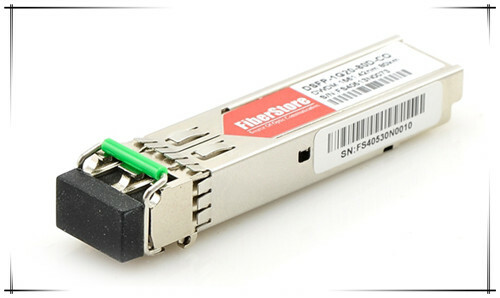 Fiberstore offers various DWDM transceivers and is able to provide the advanced technology and strong innovative capability to produce the best optical components for DWDM systems. If you are interested in our products, please visit FS.COM for more detailed information. This entry was posted in DWDM system, SFP Transceiver, SFP+ transceiver, XFP Transceivers and tagged DWDM SFP, DWDM transceiver, DWDM X2, DWDM XFP on October 3, 2016 by Chloe Wang. As time goes by, in order to meet the need for higher bandwidth, faster speed and better utilization of fiber optics, FTTH access networks designs have developed rapidly. 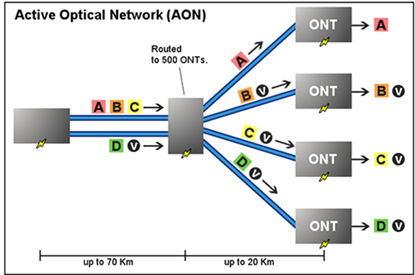 And there are two basic paths of FTTH networks: active optical network (AON) and passive optical network (PON). However, how much do you know about the them? Do you know what’s the differences between the two systems? Now, this article will give a detailed comparison between them. Active optical network, also called point-to-point network, usually uses electrically powered switching equipment such as a router or switch aggregator, to manage signal distribution and direct signals to specific customers. This switch opens and closes in various ways to direct incoming and outgoing signals to the proper place. Customers can have a dedicate fiber running to his or her home, but it needs many fibers. Different from AON, PON doesn’t contain electrically powered switching equipment, instead it uses fiber optic splitters to guide traffic signals contained in specific wavelengths. The optical splitters can separate and collect optical signals when they run through the network. And powered equipment is needed only at the signal source and the receiving ends of the signals. Usually, the PON network can distribute signals into 16, 32 and 64 customers. As data travel across the fiber connection, it needs a way to be directed so that the correct information can arrive at its intended destination. And AON and PON offer a way to separate data and set it upon its intended route to arrive at the proper place. Therefore, these two networks are widely applied in FTTH systems. However, each system has their own merits and shortcomings. Here is a simple comparison between them. In AON networks, subscribers have a dedicated fiber optic strand. In another word, each subscriber gets the same bandwidth that doesn’t be shared. While the users share the fiber optic strands for a portion of the network. These different network structures also lead to different results. For example, if something goes wrong in a PON network, it will be difficult to find the source of the problem. But this problem does not exist in AON. As we have noted above, AON directs optical signals mainly by powered equipment while PON has no powered equipment in guiding signals except for two ends of the system. When running an existing network, it’s known to us that the main source of cost is the maintenance and powering equipment. However, PON uses passive components that only need less maintenance and do not need power, which contributes to that PON building is cheaper than that of AON. AON networks can cover a range to about 100 km, a PON is typically limited to fiber cable runs of up to 20 km. That is to say, subscribers must be geographically closer to the central source of the data. Of course, apart from what have been listed above, there are other differences between these two networks. For instance, AON network is currently the industry standard. 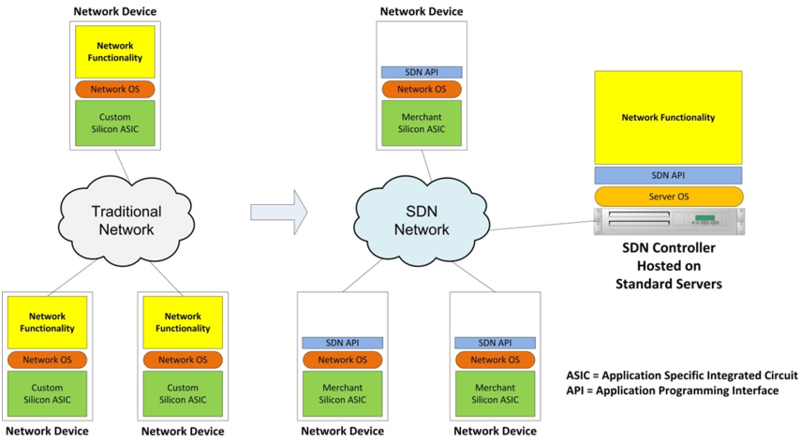 It’s simple to add new devices to the network. And there are numbers of similar products on the market, which are convenient for users to select. Besides, AON is a powered network, which decides it’s less reliable than PON. However, since the bandwidth in PON is not dedicated to individual users, people who use a passive optical network may find that their system slows down during peak usage times. In summary, AON and PON have their own advantages and disadvantages, but both of them provide practical solutions for FTTH network connection. There is no right or wrong answers when it comes to choose which one of them. FS.COM provides several kinds of PON equipment such as PON splitters and OLT/ONT Units. If you want to find out more, please visit Fiberstore website. This entry was posted in FTTX network and tagged AON, fiber optic splitter, FTTH system, PON on September 13, 2016 by Chloe Wang.